This stuff is basically like crack to me. 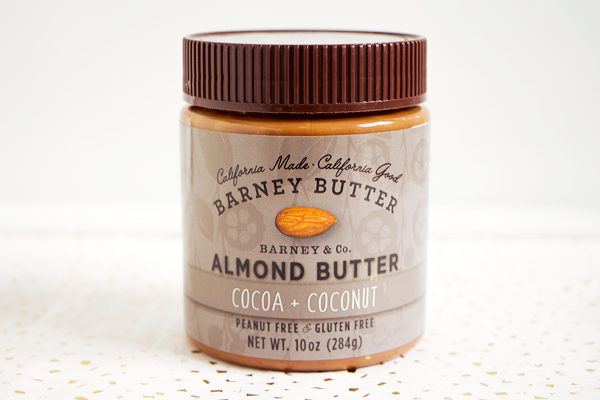 Barney Butter make the smoothest, creamiest & most delicious all natural almond butter you will ever find. I'm partial to their Cocoa & Coconut variety but they sell some really interesting flavour combinations such as Vanilla & Espresso and Honey & Flax. My go-to breakfast is porridge made with almond milk, mashed banana, chia seeds & good dollop of this almond butter. It tastes heavenly & I've gone through at least five tubs of it since discovering Barney Butter late last year. I normally order mine from The Protein Pick & Mix but it will soon be available to buy from Amazon. I can't even tell you how good this stuff is. If you love almond butter then Barney Butter will change your life. Not even exaggerating! 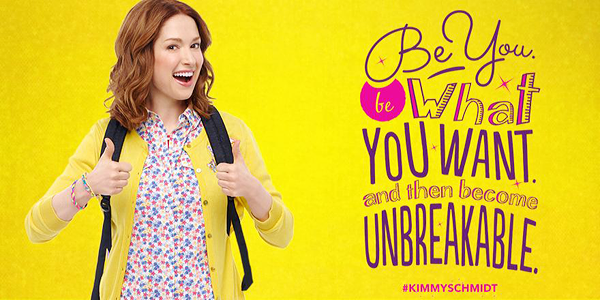 I think that Tina Fey is such an incredible woman so I had to check out her new show Unbreakable Kimmy Schmidt. It has a similar vibe to 30 Rock but is generally a lot more positive & empowering. The show follows Kimmy who was kidnapped by a radical preacher and kept in an underground bunker for 15 years with three other women. They became part of a doomsday cult who were told that the world had ended but one day they are rescued & the preacher is arrested. Kimmy decides to leave Indiana & start a new life in New York. Despite it's rather odd concept, the show is actually really funny & sweet. Kimmy's roommate Titus is definitely my favourite character. His Pinot Noir video & viral TV interview had me cry laughing for a good few minutes. I'd highly recommend checking it out if you want a new comedy to watch. I'm so glad there's finally something to fill the 30 Rock shaped hole in my life. I've always been a diehard Zelda fangirl. Ever since the release of Ocarina Of Time 3D I've been praying that Nintendo would also revamp Majora's Mask for the 3DS and last month my prayers were finally answered. 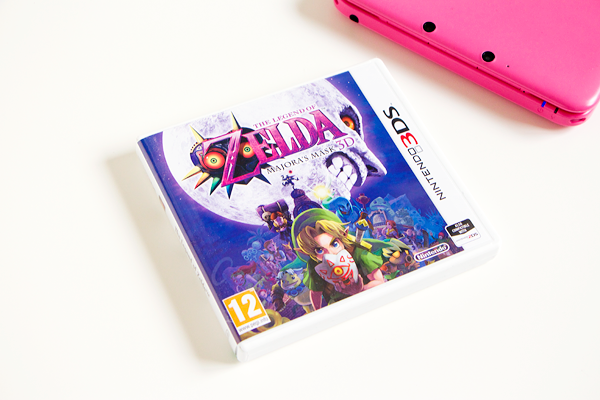 In this game Link travels to a place called Termina where he is turned into a Deku Scrub by the Skull Kid who has stolen the evil Majora's Mask from the Happy Mask Salesman. The Skull Kid has interfered with so many other people's lives and it's up to Link to get the mask back & set things right again. Majora's Mask is very sidequest heavy as there are only four dungeons in the game. The thing that worries most people about this game is that you only have three days to complete everything before the moon falls down & kills everyone. However with the Ocarina Of Time in hand Link can speed up, slow down & turn back time in order to get everything done within the three day limit. The main mechanic of this game is the masks and Link can collect & wear a total of 24 masks to turn him into different characters. I never had a N64 so this was my first ever playthrough of the game & I can honestly say it's one of the best in the series. It's fast become one of my favourites along with Twilight Princess & Skyward Sword. Ever since Sia's song Breathe Me was used on the final episode of Six Feet Under I've been obsessed with her amazing voice. I am completely in love with her latest album 1000 Forms Of Fear. 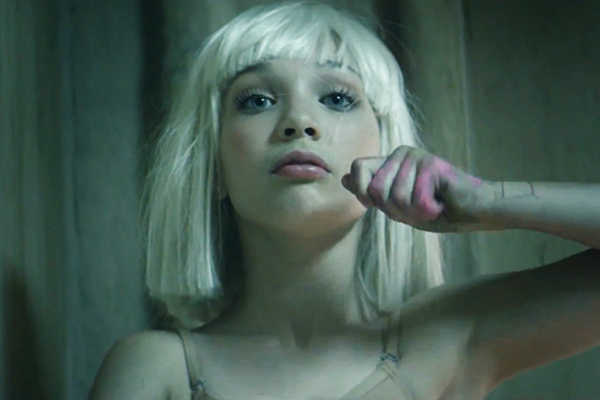 The singles Chandelier & Elastic Heart are just so powerful, especially when combined with Maddie Ziegler's erratic yet brilliant dancing in the videos. Sia's struggles with addiction & depression have an obvious impact on her lyrics. I'm so glad she's on the right track now. Whenever I'm feeling a bit down her songs help to inspire me & I really enjoy watching her performances even if we only get to see her from behind. I find Sia's songs really fun to sing along to as well. Who doesn't love belting out Chandelier at the top of their voice?! Isn't this the cutest little perfume bottle you've ever seen? I adore this scent & will be buying a full size bottle as soon as my bank account allows me to. 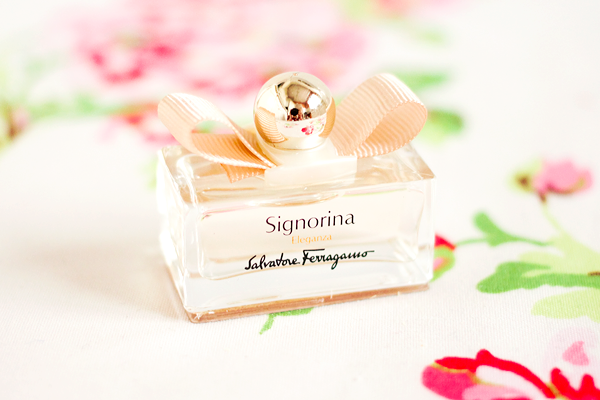 Signorina Eleganza is a luxurious fragrance that celebrates femininity & seduction. It is designed to be a more sophisticated version of the original Signorina perfume. This is such an elegant fruity fragrance. It's girly yet grown up at the same time. It has fresh top notes of grapefruit & pear for a stimulating introduction, almond powder & golden osmanthus petals for a touch of indulgent luxury with base notes of patchouli & white leather. It's quite a strong scent & it lingers on the skin for hours. Utterly gorgeous. Along with Tokyo Ghoul √A & Sailor Moon Crystal, the only anime I've been watching this season is Death Parade. The premise is that after death humans need to be judged to decide whether they go heaven or hell. 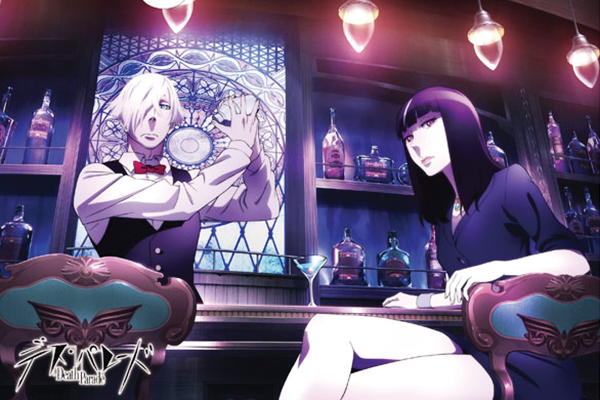 In Death Parade this judgement occurs in a bar called Quindecim where the bartender Decim is really an arbiter. Two people who died at exactly the same time are brought together here to play a game. This varies every time with games like air hockey, darts, billiards & even Twister. Neither player knows that they are already dead so when they are told that their life depends on winning the game, it brings out a rather nasty competitive side to each person. These extreme circumstances reveal the inner darkness of their character and makes it easier for the arbiters to judge each soul. It's a really interesting anime as you want to learn more about these mysterious arbiters as well as seeing who will be reincarnated & who will be sent to the void. That Almond Butter sounds so delicious! 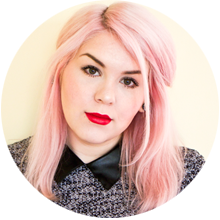 We're trying to work our way through the last couple of series of Pretty Little Liars, but Kimmy Shmidt is next on our 'must watch' list! I've been playing through Majora's Mask as well, but I just started back at uni so I'm going slower than I would have hoped. I definitely agree it's up there, Twilight Princess is my all time favourite! Great favourites! 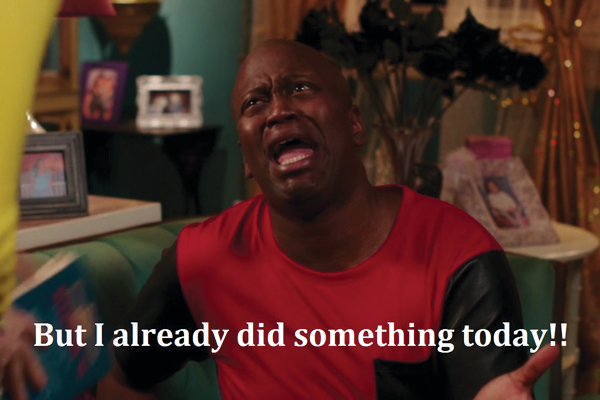 <3 I haven't given into the Kimmy Schmidt hype yet but it will only be a matter of time, I adore Tina Fey and 30 Rock.